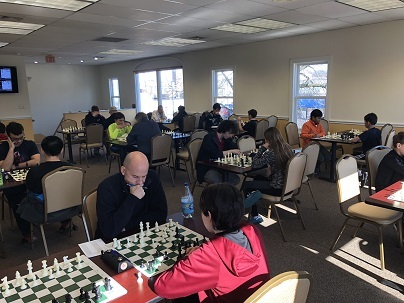 Thirty eager players attended out weekly Saturday G/45 Quads. FM William Graif was first in quad one, finishing the day with 2.5 out of three points. 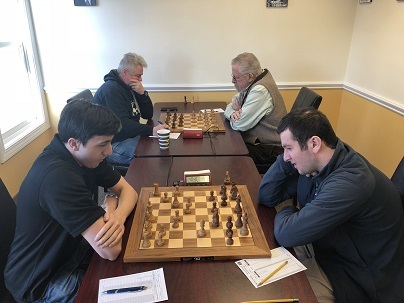 There was a tie in quad two; NM Ryan Young and Hanon Russell shared victory. Jack Grills and Ethan Cushman claimed first in the third and fourth sections respectively, both with 2.5 points. There was a three-way tie in quad five and quad six. 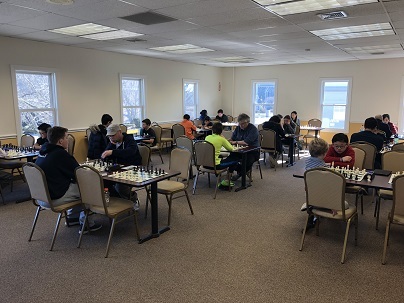 In quad five Luis-Joshua Casenas, Rueben O'Neill, and Xan Meister all placed first, while Yikuan Zhou, Tyler Tanaka-Wong, and Ben persily shared the glory in quad six. 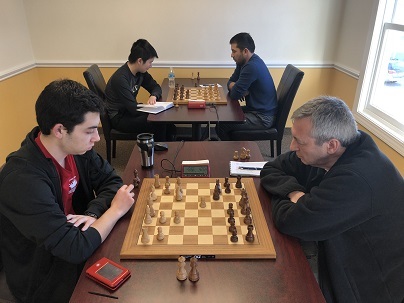 Finally, with 2.5 points, Neel Behringer clinched first place in the seventh section. Congratulations to all the winners and thank you to all of our participants. We hope to see you again soon!